I have some natural curl in my hair so on most days my hair has that beach blown hair look.There are days when I like to straighten it though. The first day I wash it it will dry with that nice beach look but on the second day and after sleeping on it, it's just looking wavy.These are the days in between washes that I like to straighten it.I have tried budget straighteners in the past but they just don't heat up enough to work well with straightening my hair.Erika has gotten a few from Ebay that are the professional ones, and they work very well, and your saving yourself more than what you would pay if you bought them at a salon. A good styling iron, like InfraShine, is not inexpensive and should be considered an investment in your hair. The $159 retail price for this professional tool is offset by the 5000 hour rating, which means it is designed to last. Most professional irons are rated for 1200-1500 hours, and the $40 versions at local drugstores (etc) can’t even manage a portion of that. I am very happy with the InfraShine Micro-Silicia infused ceramic styling iron. I'm sure my daughter Erika will be wanting to borrow it once she comes home from college! 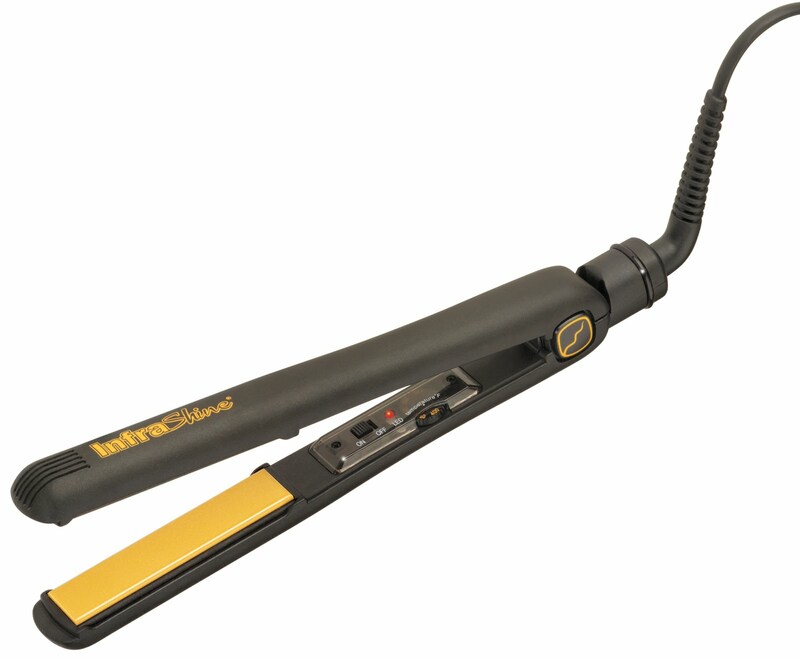 InfraShine would love to give away one of these styling irons to one lucky winner from the USA, in a random draw to be held by Random.org on April 27,2011.
i like infrahsine on facebook! (1) I like InfraShine on Facebook. I Like InfraShine on Facebook -- *Thanks* for the giveaway!